Project Managers need a plan overview that they can share with team, partners and stakeholders. The project management template was created to help managers plan and communicate their projects broadly. It will illustrate the critical tasks and milestones, and how much the project has progressed. 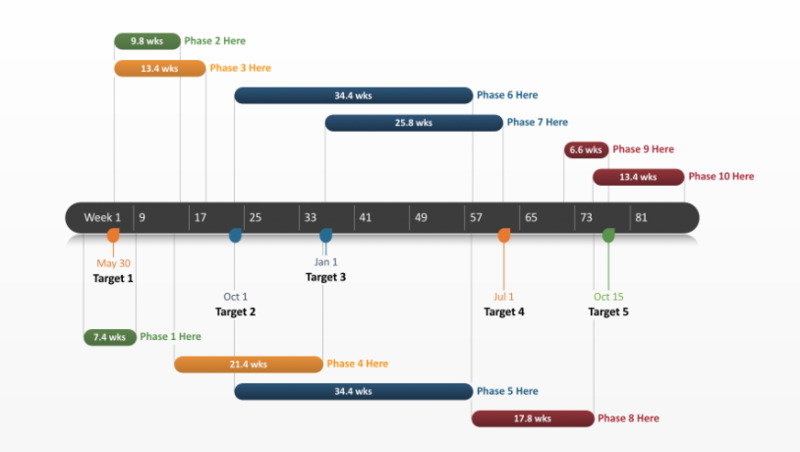 Project management templates help project managers communicate with simple visuals that are not complicated or difficult. They are designed so important audiences can quickly understand the major deliverables of the project and see progress of the plan. 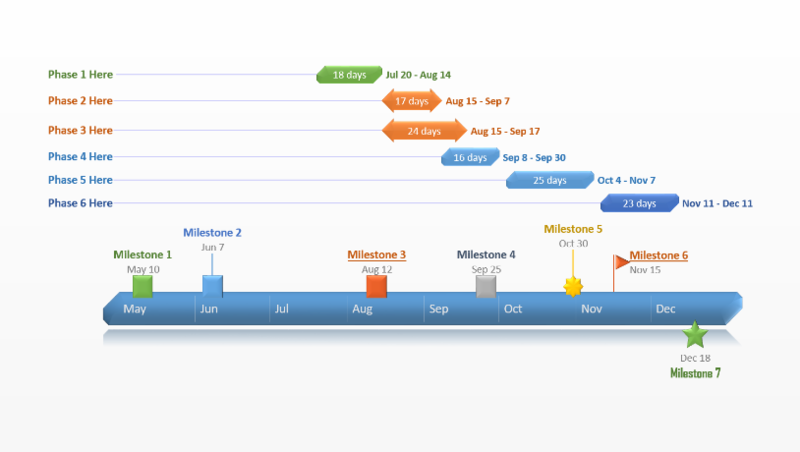 This project management timeline template is a PowerPoint download that can easily be edited and used for newsletters, documents, proposals, project reviews or scorecards. Project management teams that use PowerPoint can collaborate on the template and quickly share their slides with customers, partners and management. 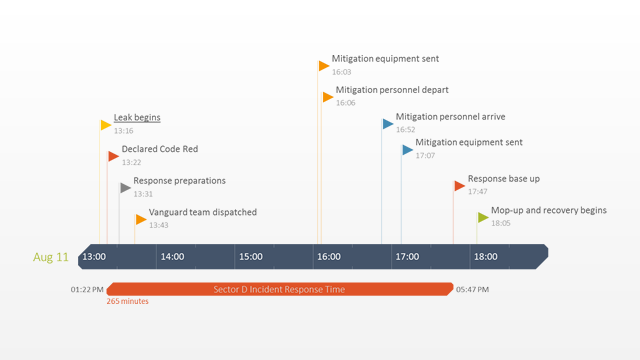 The timeline template can be changed in PowerPoint or you can use Office Timeline’s free project management tool to instantly update it and automatically adjust it as your project schedules change. The project management tool was created as a PowerPoint plug-in so project managers can easily make timelines and Gantt charts right from inside the familiar application. The tool is useful for updating the slide quickly without having to rebuild it. If dates for milestones and tasks slip or when they have been completed you can immediately update the project management template. You can also show progress with the percent complete or Today’s Date feature. 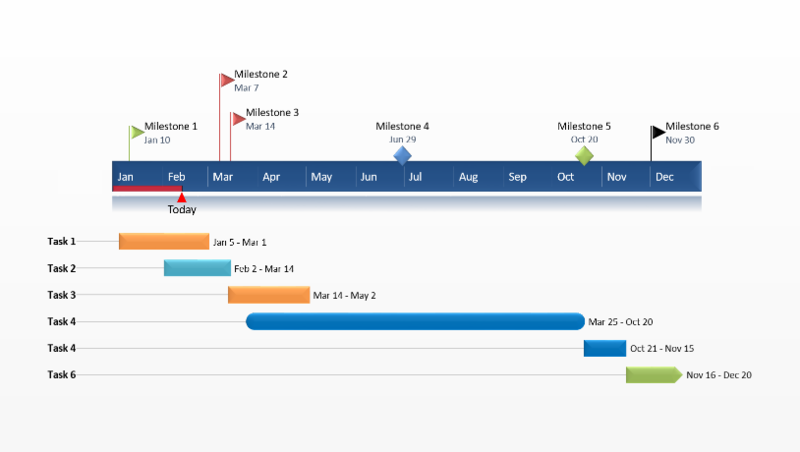 Office Timeline Plus Edition is integrated with project management applications such as Microsoft Project or Excel, so any project data you have previously created can automatically be transformed into a project management slide like this template. 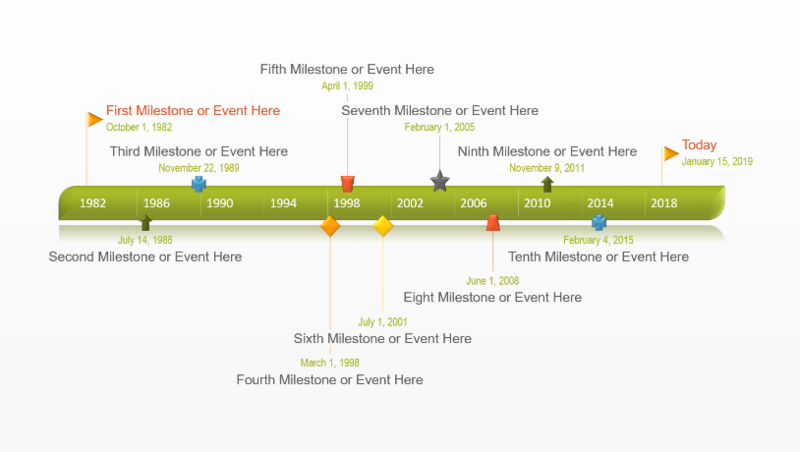 With the Office Timeline project management tool for Microsoft PowerPoint, project excellence has never been easier. It will update and revise this project management template automatically, or you can use it to make new project management slides as quickly as your managers and customers need them.